My name is Tim Nixon. I just turned 30. I’m from Sarnia, Ontario. I am a small business owner and water sports enthusiast and I also work in the oil and gas industry as a career. I have worked at Imperial Oil for 10 years and it is a great company to work for. 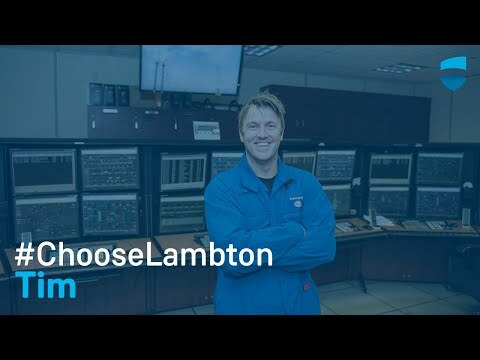 I chose Chemical Production & Power Engineering Technology (CPET) at Lambton College because I knew that I would have a great work schedule and make some good money to invest into small businesses. The classroom sizes were awesome. The teachers were fantastic and all of them were industry professionals. I sit in front of 22 computer screens and operate our process unit inside Imperial’s integrated chemical and refinery operation. Safety is at the forefront of every conversation we have here. For me, I love the water, I love my community, so I’m committed to protecting both. I work 12 hour shifts, two days, two nights, four off. After 10 years, with vacation, I am now able to do 12 days off in a row many months of the year. So it gives me all the flexibility I need. I started Sarnia Water Sports, a wakeboarding, waterskiing, and tubing business and it was just tons of fun. Boarder Pass was birthed from that and it’s slowly but surely building and growing every year. I have a beautiful wife named Kira Jade. Kira and I grew up together. She actually kissed me when we were five. She is a singer-songwriter. We now have a one-year old son named Steihl. I look at my life right now, I feel so blessed, I really do. Lambton College certainly sets you up for a successful life. So come on in, the water’s good.